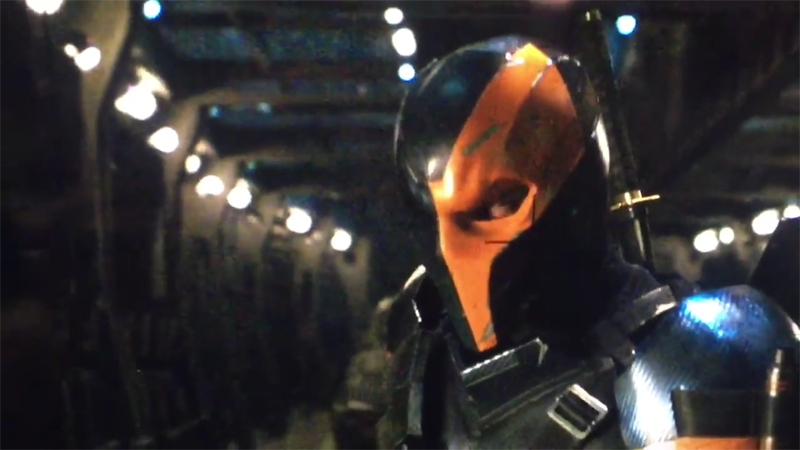 Last week Ben Affleck got the Internet all riled up when he dropped a mysterious video of someone in the role of top DC baddie, Deathstroke. It was clearly done from the Justice League set where filming is taking place, but it was soon revealed the character would be part of Affleck's upcoming solo Batman movie. Now we know who will actually be playing the role and it's someone Warner Bros. is very familiar with, Magic Mike star and convenience store exhibitionist Joe Manganiello. Wall Street Journal got the confirmation from DC Film boss Geoff Johns, who also revealed that it was Manganiello under the mask the whole time. Dude. What we don't know is if the character, a highly skilled assassin with incredible mental capability, will appear in Justice League first. It's probably a safe bet.